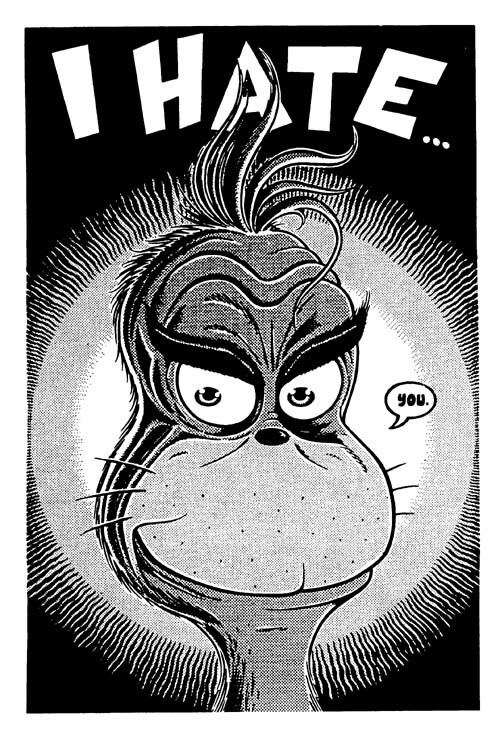 An unpublished illustration of the Grinch, done for an art show in Seattle. Art is 10 x 14 1/2, pen and ink on illo board. This scan is lousy -- there's a fine greytone throughout the art that looks like mud here -- but the original is of course very clean.